Greg is a graduate of the University of Florida where he received his Bachelor of Science in 1974 and his Juris Doctorate in 1977. He has been admitted to the bar in Florida since 1977. He was admitted in the District of Columbia in 1980; the U.S. District Court, Middle District of Florida in 1981 and Southern District of Florida in 2010; the U.S. Court of Appeals for the Eleventh Circuit in 1987, and the U.S. Supreme Court in 2006. Greg is Board Certified by the Florida Bar in Criminal Trial Practice. 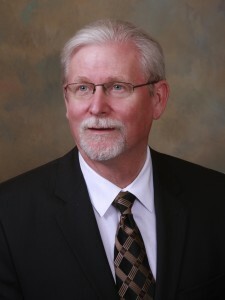 He is a member of: the Brevard County Bar; The Florida Bar; District of Columbia Bar; a Life Member of the National Association of Criminal Defense Lawyers; the Florida Association of Criminal Defense Lawyers; and the American Trial Lawyers Association. Greg has been recognized as a Top 100 Trial Lawyer by the American Trial Lawyers Association; Greg has been recognized by his peers with an AV Rating for legal ability in Martindale-Hubbell; he is a former member of the Board of Directors/Jurisconsult, Chaîne des Rôtisseurs des Etats-Unis.